A new parody poster for Sherlock Gnomes has arrived and it’s resulted in one pressing question: is this the worst movie poster of 2018? The year may still be relatively young, but it’s hard to believe another film will produce a poster as confounding as this. Below, we investigate this Sherlock Gnomes poster and ponder: why? Look on this Sherlock Gnomes poster, ye Mighty, and despair! Sherlock Gnomes, the sequel to Gnomeo and Juliet, features Johnny Depp as the voice of a lawn gnome who also happens to be a detective. 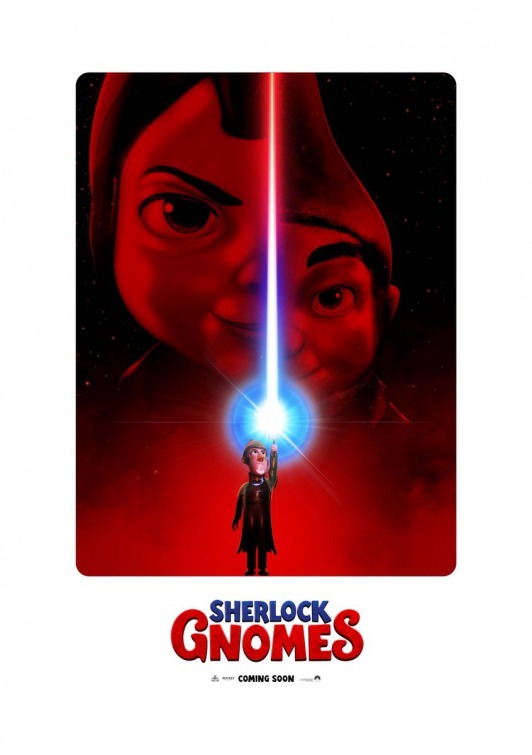 The Sherlock Gnomes marketing campaign has spent the last several months releasing parody posters that are meant to be cute and funny but are mostly just confusing and bad. They released a slew of these during Oscar season. For the most part, the parody posters were stupid but harmless. Now, however, Sherlock Gnomes has outdone themselves with terribleness, releasing a poster that’s meant to parody a Deadpool poster. Here it is. What…what is this? Why is this? What is happening here? Who is this for? Is this the worst movie poster of 2018? Yes, I think it is. Let’s examine how terrible this is, shall we? First and foremost, this poster has GNOMEPOOL emblazoned across the top. Obviously the creators of this poster are going for a Deadpool reference here, but what the hell is Gnomepool? It’s not a pun, that’s for sure. It doesn’t really even make sense. Also: why is an animated kids movie referencing Deadpool? Do the young children this movie is targeted to even know what Deadpool is? On top of that, the actual title of the film – Sherlock Gnomes – is nowhere on here. Gnomepool Sherlock Gnomes opens on March 23, 2018.